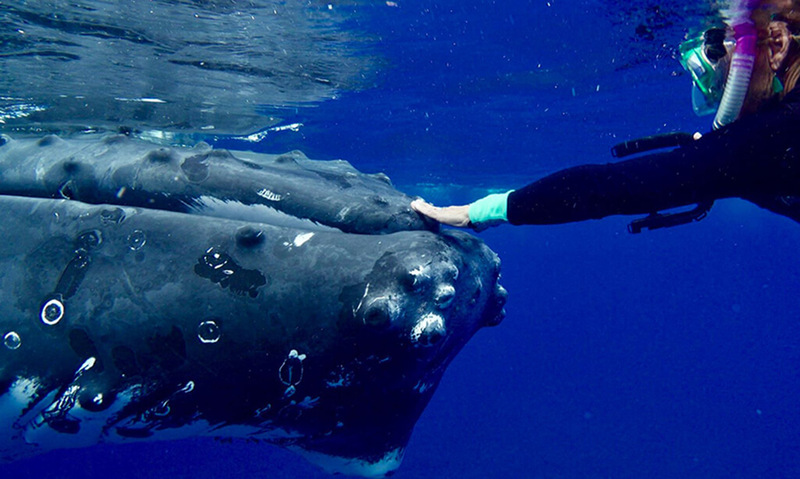 What started out as a routine dive for experienced marine biologist Nan Hauser turned deadly when a massive humpback whale began to aggressively push her around. While this species is normally friendly, this humpback was acting completely out of character. Hauser’s struggles to stay away from the behemoth proved futile as it became more and more aggressive. However, Hauser would have never guessed the reason behind this whale’s horrifying behavior. As the situation unfolded, Hauser discovered the horrifying truth behind the whale’s aggression. Read on to learn what happened between Hauser and the whale that left scientists scratching their heads. Nan Hauser is a veteran marine biologist who has spent the majority of her life monitoring the ocean, in particular whales and dolphins. 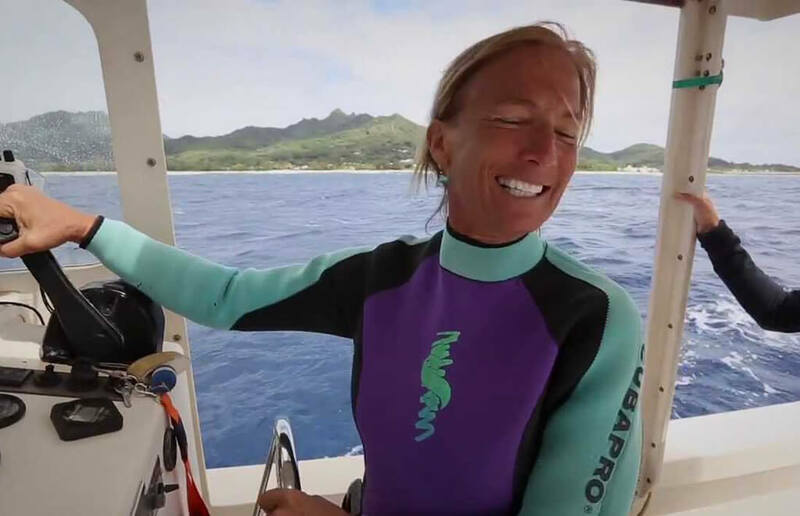 After 28 years of experience, her career has led her to take part in countless dives and expeditions in the Cook Islands as well as the Bahamas. 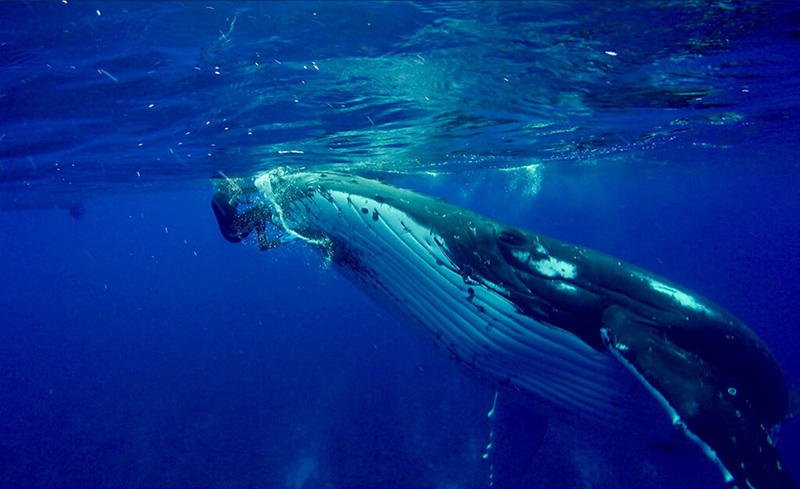 Hauser even managed to turn the territorial waters off the South Pacific’s Cook Islands into a whale sanctuary. She has been featured on shows airing on Animal Planet, the Discovery Channel, and National Geographic. Yet one dive was about to change everything. 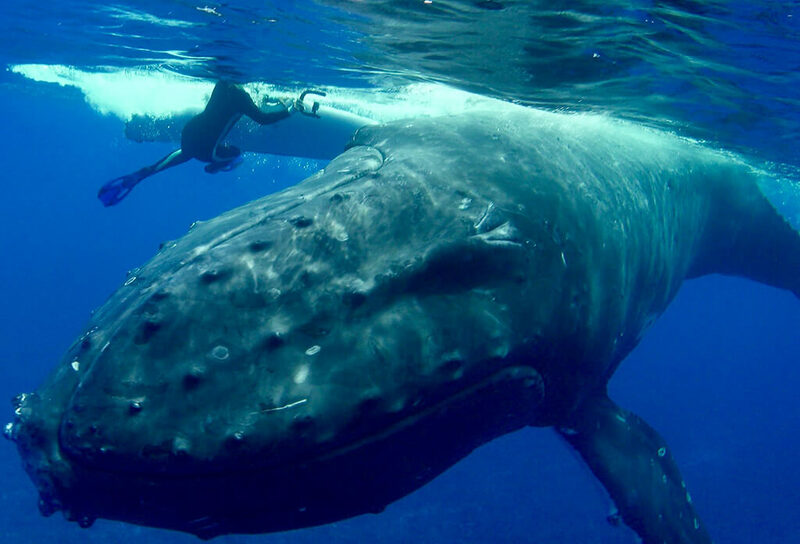 One of the world’s most renowned whale experts, Hauser took up residence on Rarotonga, the largest of the Cook Islands. This way, she could be as close to her work as possible. The 15-island country is home to 21 species of dolphins and whales, more than 600 species of fish, and 16 types of sharks. On a day just like any other, Hauser suited up and dove into the sapphire water, excited for another day on the job. Just minutes after entering the water, she saw a massive whale emerge from the deep. 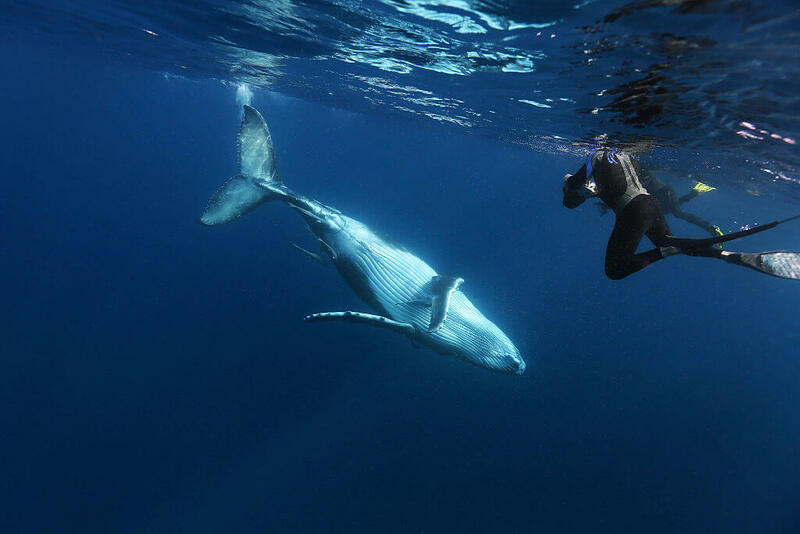 With the sea animal rapidly approaching, Hauser realized that what was swimming directly at her was a massive humpback whale. 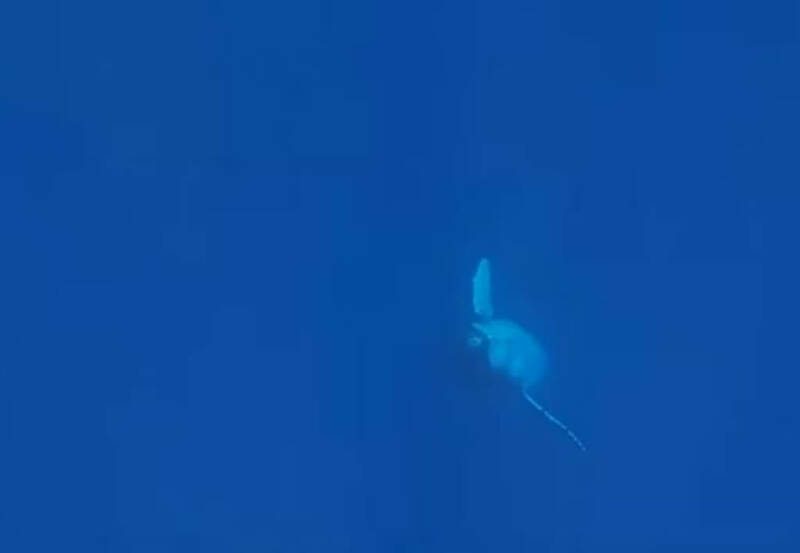 This is a type of whale with the capability to weigh 40 tons and grow up to 60 feet long, and it was coming right at her! Hauser estimated that this whale weighed around 50,0000 pounds. She was used to diving with these underwater mammoths and was familiar with many of the ones she monitored on a regular basis. However, she didn’t recognize this particular whale. Nor did she know what was about to happen. As someone who has spent decades swimming in the water with these types of animals, Hauser knew exactly how to handle the situation and that she should not scare or antagonize this creature from the deep. She was rarely frightened in these kinds of situations. Initially, she didn’t think that anything was out of the ordinary as she observed the magnificent creature. However, after the whale surfaced for air, it began getting uncomfortably close to Hauser. It was at this point that things took a turn for the worse. Other than her wetsuit and fins, Hauser didn’t have any other diving equipment except a snorkel and a camera. She couldn’t understand what was happening, even as the whale pushed her onto his head. As a skilled and seasoned marine biologist, Hauser knows how to respect marine wildlife, as well as the ocean itself. She’s always keeping the best interest of the animals in mind and tries her best not to touch the whales she’s working with unless they are sick or stranded on the shore. She wouldn’t be amused for long. The massive creature then began rolling in the water and nudging Hauser, churning her while simultaneously sucking her under. At one point, the whale even managed to tuck her under its pectoral fin, making her hold on for her life as it lifted her out of the water. As the head of the Center for Cetacean Research and Conservation, Hauser knew that the last thing she should do is make the whale panic. Unfortunately, the whale started getting really aggressive now and she was scared for her life. Luckily, she remembered a lifesaving tactic. Hauser claimed that she “didn’t want to panic because I knew that he would pick up on my fear.” While she was usually at peace around these animals, this was the scariest situation she had been in with one of them. Her next step was to figure out how to get away from the whale. Although she had her team with her, there wasn’t much that they could do to interfere with a 25-foot long whale. All they could do was watch in horror and hope for the best. What the crew did next proves that they were prepared for the worst. Since the team was doing research, Hauser and a fellow diver had been recording the entire encounter. Both had cameras, so they could get footage as close up as possible. 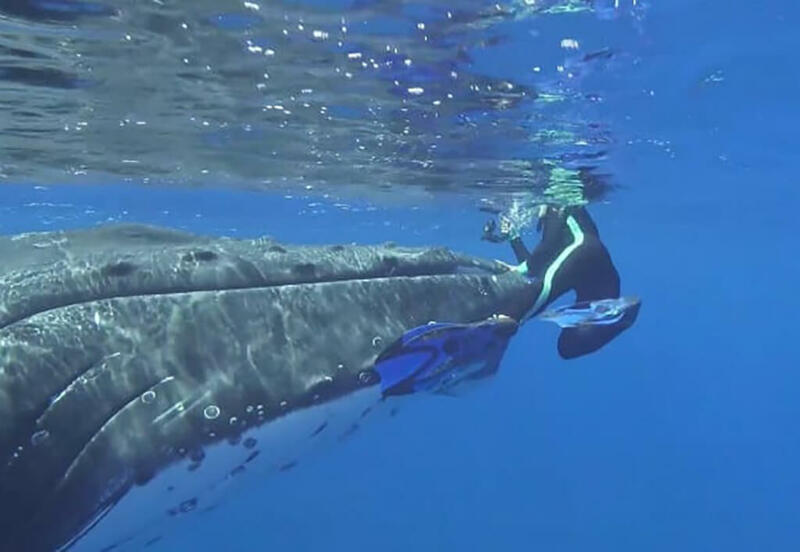 The other diver had never filmed whales before and didn’t realize how peculiar this behavior was. 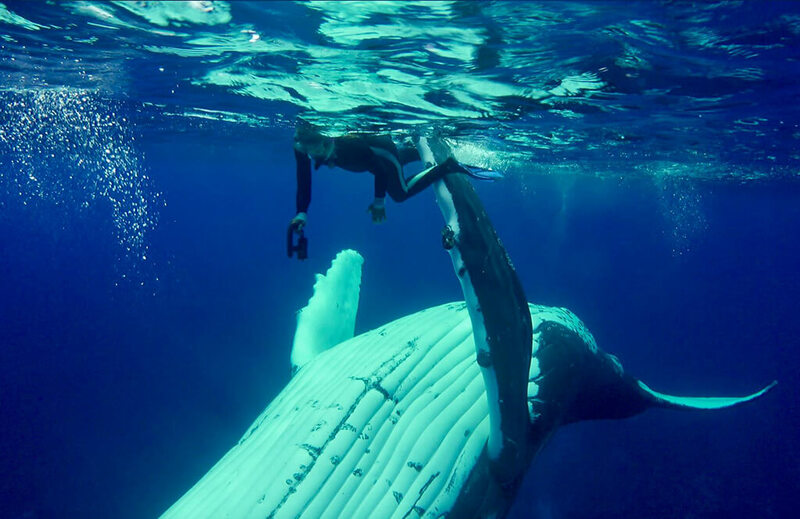 As Hauser tried to calmly remove herself from the situation, she kept her eye on the whale to make sure that he wasn’t going to catch her off guard. After decades of diving without issue, she had never found herself in such a dire situation. The whale had begun pushing her further and further away from the boat and she saw her chances of swimming away getting smaller and smaller. Because she was so focused on getting away from the whale, she had no idea what was lurking nearby. During all the commotion, Hauser spotted another whale in the distance, miles from the shore. Much like the one she was currently dealing with, this one was demonstrating odd behavior as well and was causing a commotion, slapping its tail against the surface of the water. The first whale hadn’t calmed down yet either and at this point, Hauser was beaten and battered. But then, a third figure began to make itself present from the deep. Hauser assumed that it was another whale until she realized what it really was. Her worst fears were about to come true. 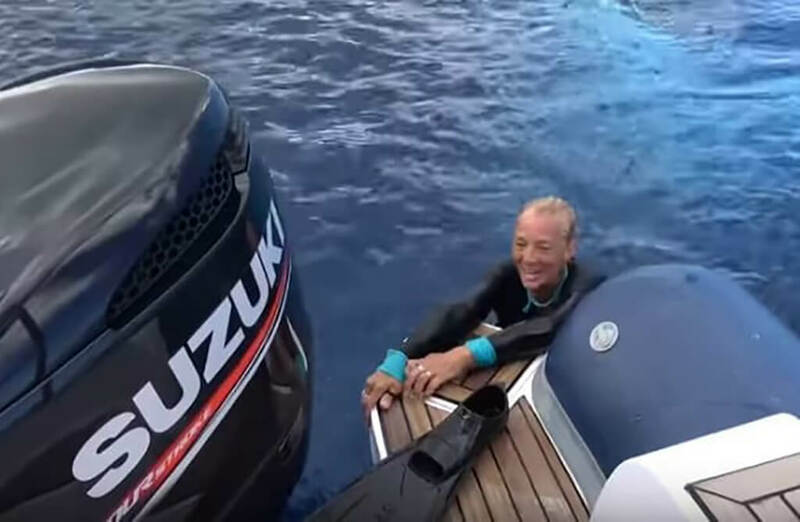 While Hauser was trying with all of her energy to get away from not one but two whales now, she started swimming toward the safety of her team’s boat. After taking her eyes off of the whale to check her surroundings, she made a horrifying discovery. She realized that the tail of the third form in the water was moving from side to side and not up and down like whales’ tails do. Being an experienced marine biologist, she knew exactly what was lurking nearby. As the third creature began making its way toward Hauser, she realized that the troubles with the whale were becoming the least of her worries. It was no whale, and it was coming straight at her. She recalled, “So my mind quickly went, ‘Oh, my gosh! '” But as an expert in marine biology, she could tell what most animals are just by their outline or shape. What was coming towards her was one of the most feared fish in all of the ocean. It was a tiger shark. Understandably, Hauser was terrified. After studying the ocean her whole life, she knew exactly how aggressive, fearsome, and deadly tiger sharks are. They have the potential to grow up to 25 feet and weigh almost a ton. This dangerous man-eating shark is second only to the great white shark in fatal attacks on humans. 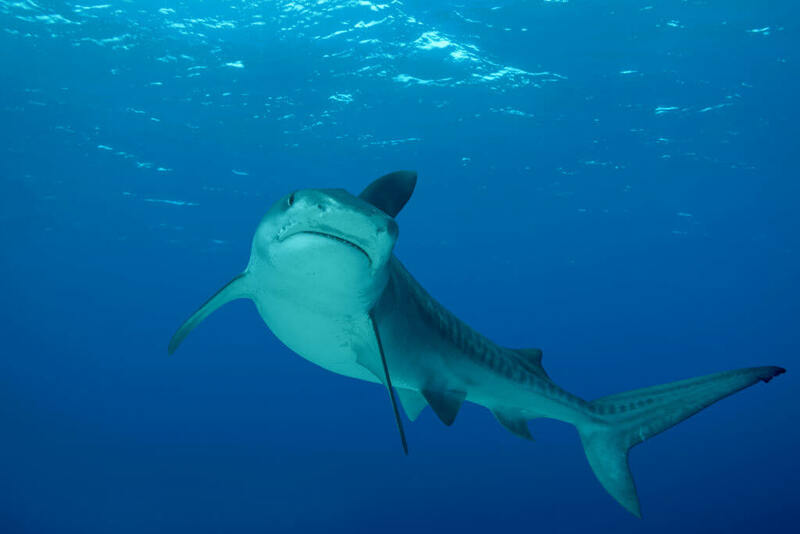 They can typically be found in the warm waters of the Pacific islands, but they aren’t like great whites which will bite and then retreat. 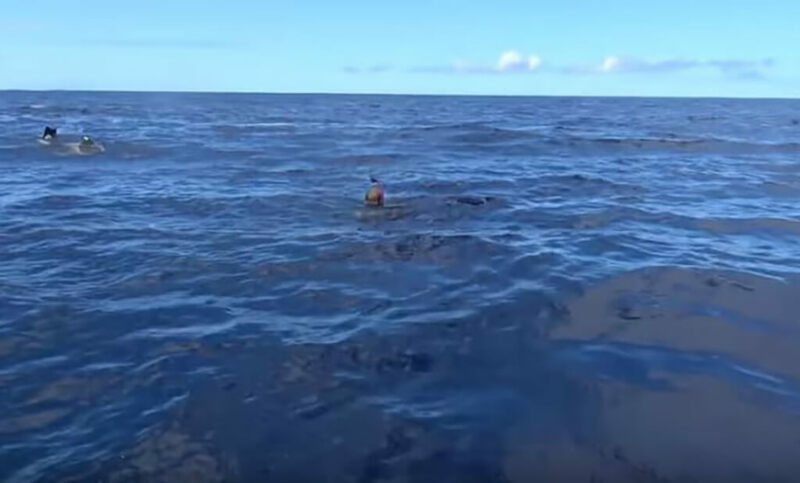 These sharks hunt to kill, and one was coming right toward Hauser. Hauser was now surrounded by three unpredictable creatures, one of which was known to frequently kill humans. 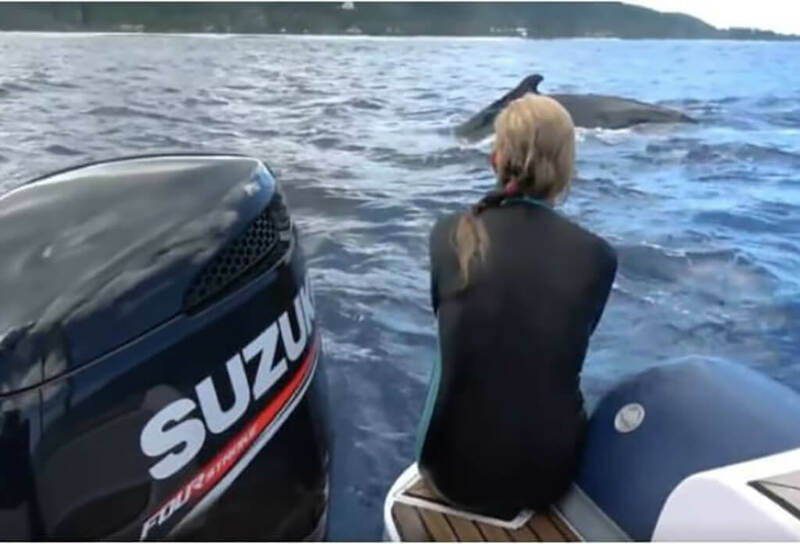 Now, she was far less concerned with her problems with the whales and all of her attention was now focused on the shark that could easily attack and kill her. With few options left and only moments to spare, Hauser did the only thing that was left to do. She and her fellow researcher, a cameraman, made a break back toward the research boat. But did they made it unharmed? Everyone was relieved once the two divers managed to escape the shark and make it to the safety of the boat. 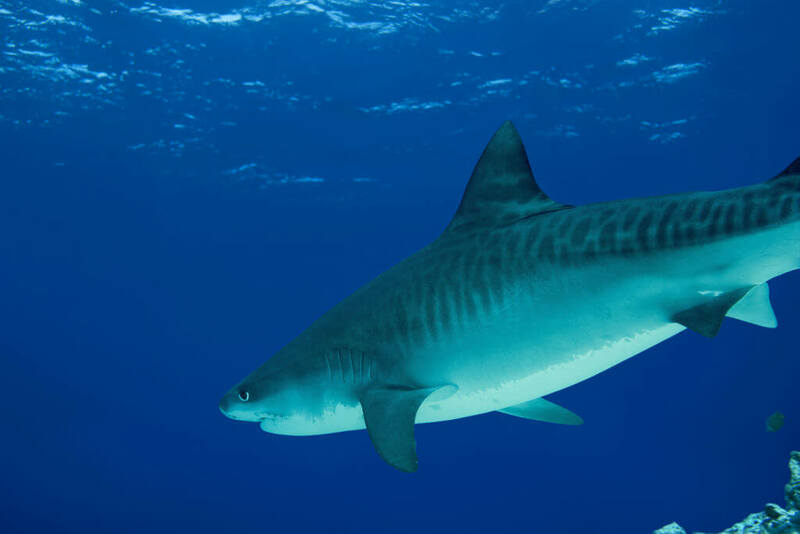 As Hauser reached the boat, she warned the rest of the crew on board that there was a large tiger shark in the water. Although exhausted and slightly bruised up, Hauser managed to pull herself onto the deck, thankful to be alive. After catching her breath, it suddenly dawned on her what the first humpback whale had been doing. After calming down, Hauser sat down and watched the footage of her whole ordeal in the water. It was then clear what the whale had been trying to do. It seems that the humpback had actually been trying to warn her about the shark and to get her out of harm’s way. 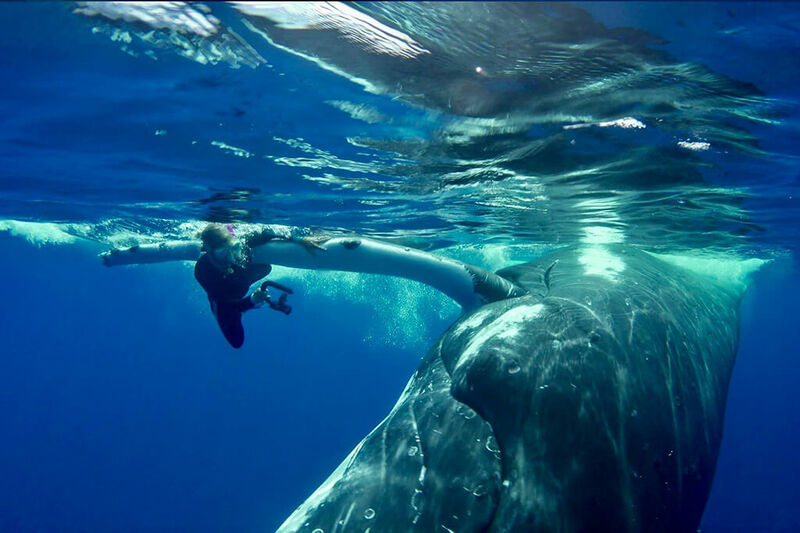 She reflected, “maybe the shark wasn’t going to attack me.” Instead, “he [the whale] was trying to save my life.” She had just been through a once-in-a-lifetime experience that had been incredibly frightening as it happened. Although Hauser was shaken, she was thankful to be safe and even more thankful for the whale that had been trying to protect her. While the whole crew was recovering from the ordeal, they couldn’t believe their eyes. The whale that had tried to save her surfaced next to their boat. Most likely, the whale was checking in to be sure she was ok. 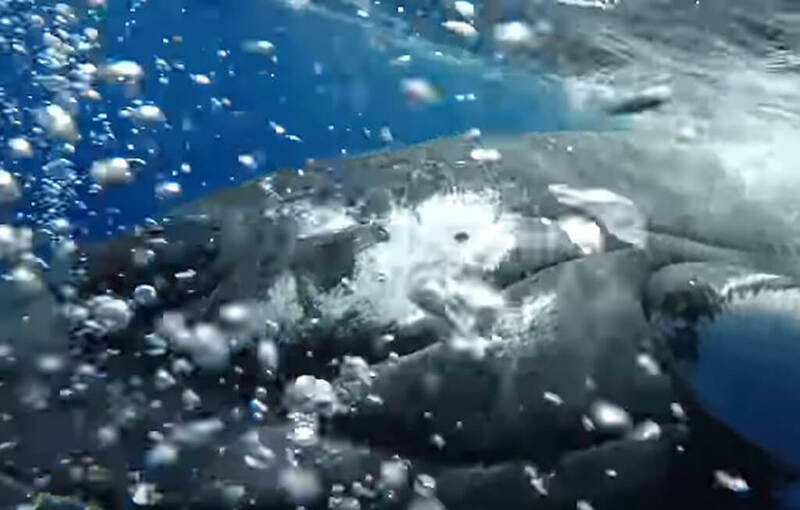 It even gave a friendly spray from its blowhole before diving back in the water. Hauser yelled “I love you too” before the whale disappeared beneath the waves. Although she had recorded the whole situation, there were still people that doubted her. Even Hauser admitted, “I’m a scientist, and if anyone told me this story, I wouldn’t believe it.” It wasn’t long before news of her incredible experience made headlines worldwide. Yet there were still some scientists who believed that what happened between Hauser and the whale was nothing short of impossible. However, those same experts that claimed it wasn’t possible also didn’t fully rule it out. Hauser was confident that her footage proved that something amazing had occurred, something that she thought had never happened before. 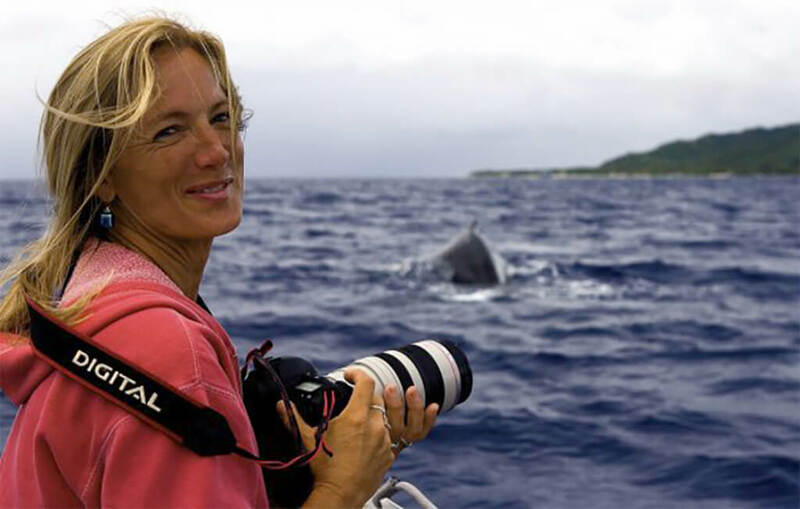 For almost three decades, Hauser had conducted almost every kind of whale research. From population status and feeding behavior to migration patterns, she had done it all. 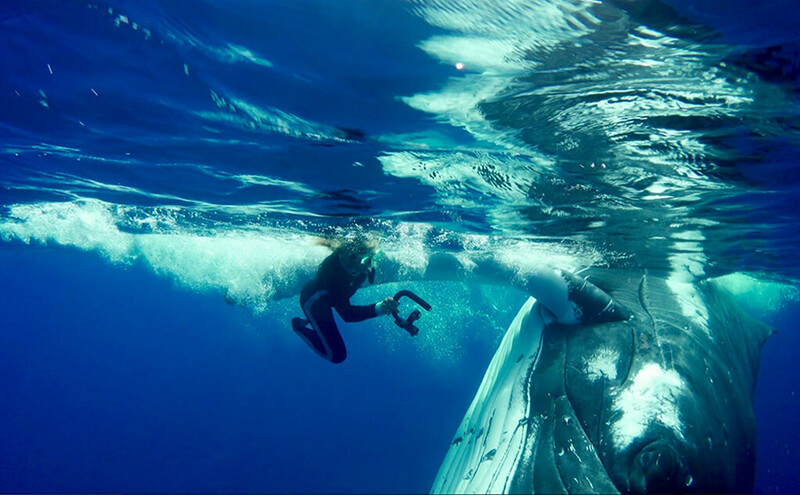 As she was so familiar with whales, Hauser was convinced that her footage was truly groundbreaking and captured a historical event. She believed that it showed the first-ever circumstance in which a humpback whale was trying to protect a human from a possible threat. That wasn’t the only finding in the wake of what happened to Hauser. The news of Hauser’s encounter with the shark and whale spread quickly, especially in the local area. It wasn’t long before other fishermen and divers reported seeing the same shark that had been harassing Hauser and the whale. Some other witnesses claimed that they’d seen the shark swimming near the reef and that it was nearly the size of a pickup truck. This made Hauser feel even more grateful that she had survived the horrifying dive. 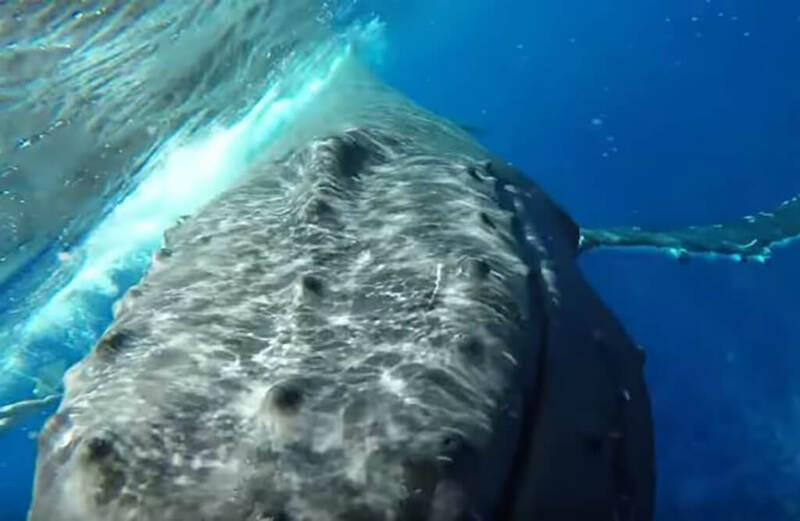 Her footage of the whale and what it had been doing proved to be valuable research material for scientists and other marine biologists to study. However, there wasn’t footage of the entire experience, such as when the whale pushed her out of the water. 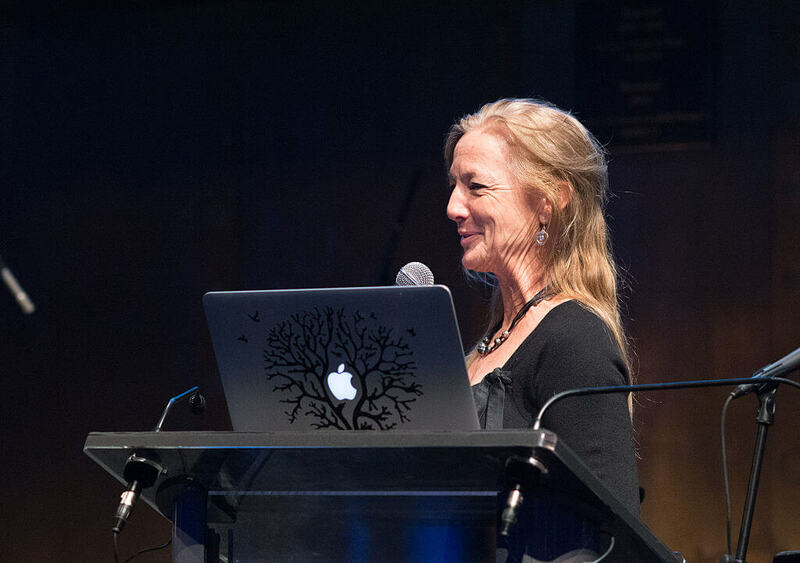 Nevertheless, her film and testimony helped other marine biologists and the general public gain a better understanding into the minds of these great creatures. Her experience was a valuable lesson to many. She hopes that her story will help to raise awareness of a sickening issue in our world. 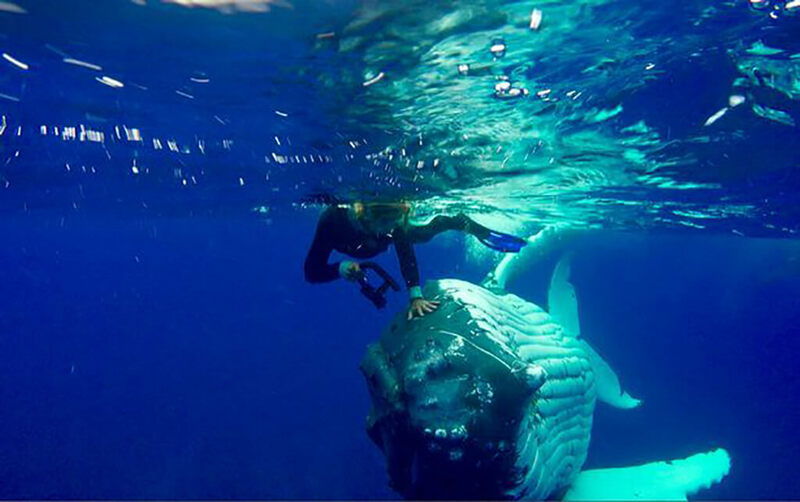 Hauser would never condone untrained individuals getting into the water with humpback whales. 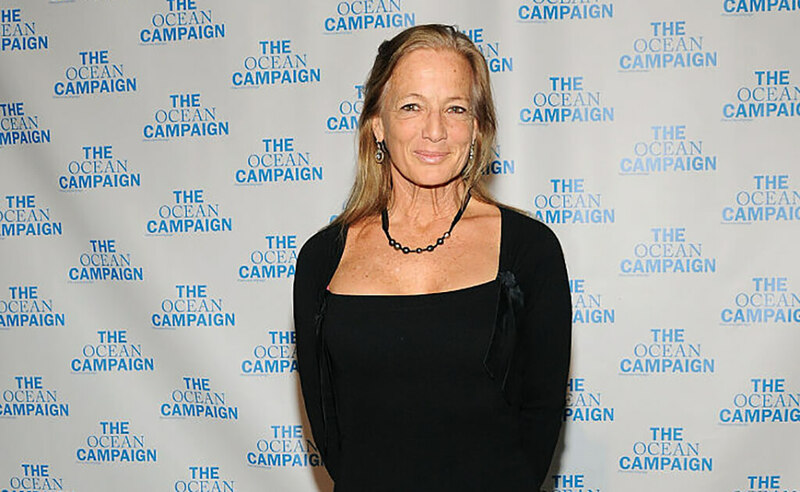 But she does hope that her work will help inspire others to stand up against the poaching of whales and preserving the habitat of whales and all other sea creatures. For centuries, dolphins have been recorded as being highly intelligent and caring ocean mammals. There have been numerous cases in which dolphins have behaved in ways that protect humans from dangerous situations. They’ve even saved human lives. 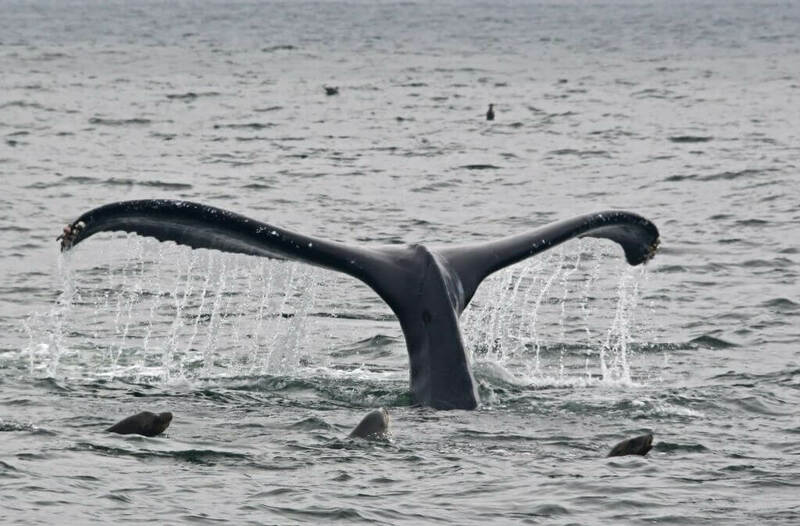 However, such cases are essentially unheard of when it comes to whales. 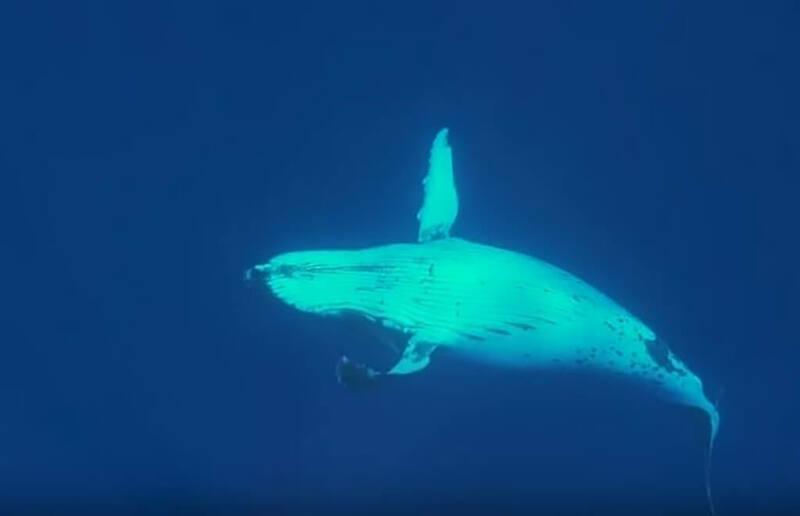 Although Hauser has some of the only recorded footage, there is some scientific research that might point to humpbacks having extraordinary kindness when it comes to protecting other animals. During their migrations, humpback whales travel to the waters of the South Pacific to breed and rear their young during the austral winter. 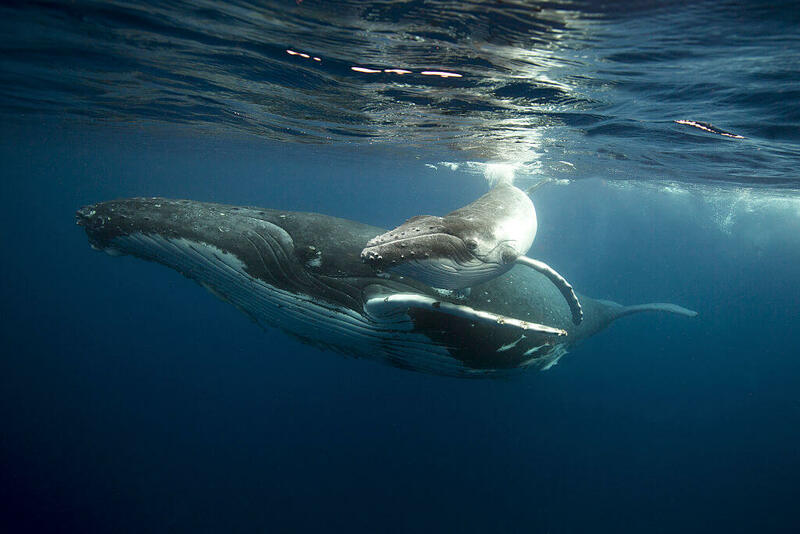 As a species, humpbacks tend to band together in packs, especially when traveling with their young. This is something that is common among other mammals around the world. With this in mind, it’s understandable why the second whale was in the vicinity during Hauser’s experience. Although humpbacks were once poached to the verge of extinction, their numbers are thankfully on the rise. Now, to ensure their safety, they band together to protect their young. But what about other species? Since humpback whales are omnivorous, they’re the furthest thing from being predators. 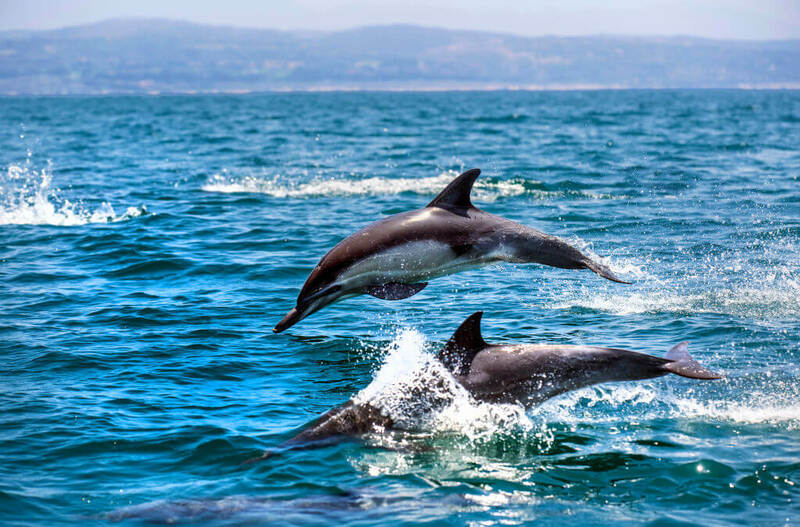 In fact, they have even been described as protectors of the ocean and have been known to come to the aid of other species of whales, seals, and dolphins that are under threat by predators. But why help those that aren’t their kind? 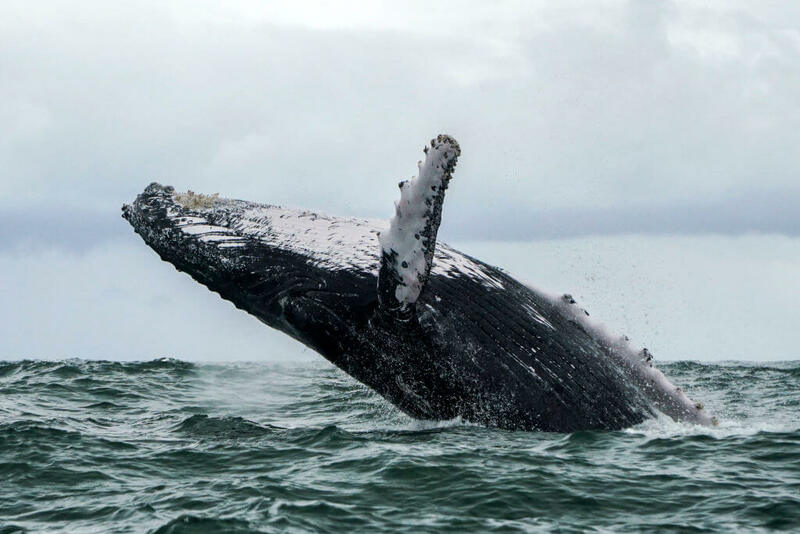 A 2016 study found 115 recorded instances in the last 62 years in which humpback whales have intervened in attacks in order to save their calves and other species. Humans refer to acts like these as compassion, but scientists refer to it as altruism. 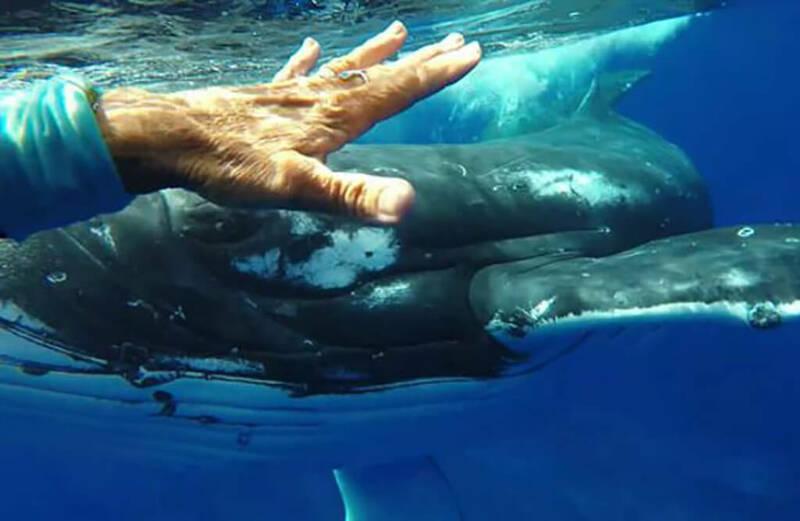 While people like to associate animals with human behavior, Hauser commented that “I tried a lot not to anthropomorphize any of the behavior that I see.” Yet, her footage might prove that there is an argument for altruism among these whales. This is clear, given the fact that humpbacks are willing to hide animals under their fins and put themselves at risk to marine predators seeking them out. There are many recorded instances of this happening in the wild. While scientists are still split on the issue, there is a theory behind this kind of behavior. 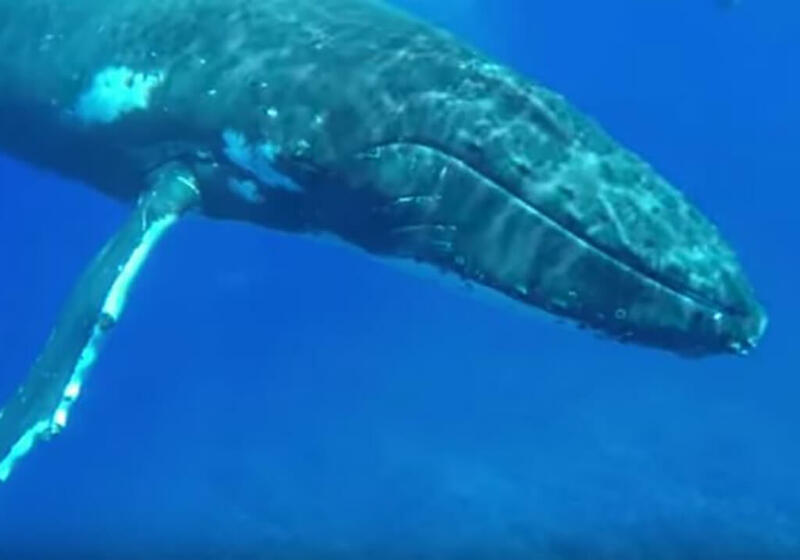 Although how humpback whales behave toward other wildlife (including Hauser) is still not completely understood, people have theorized that altruism could be an instinct. After all, countless generations of whales have protected their young and their own kind. It is further believed that they could be instinctively responding to distress signals from other species or just have an intuitive nature to protect. Although there appears to be no clear answer at this particular moment, it’s safe to say that Hauser’s experience helped open people’s eyes to the behavior of these magnificent protectors of the sea.